The City Palace is a conglomeration of various buildings, Mahals and courtyards. 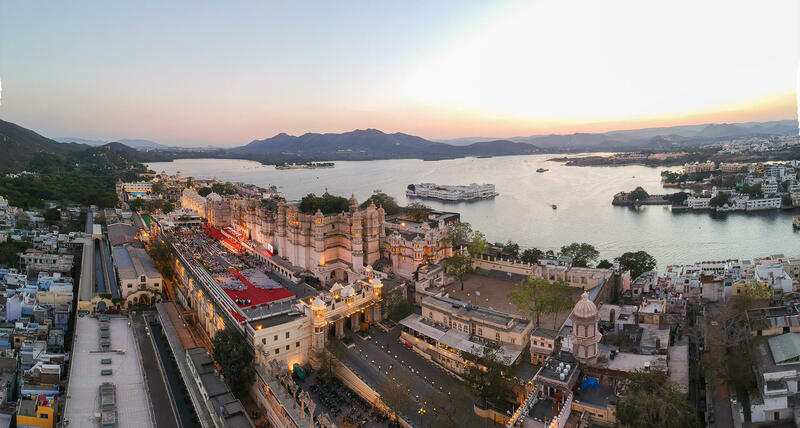 It stands strong on the banks of Lake Pichola and is the venue for this festival. The palace is 500 years old and is the best example of living heritage to portray the authenticity of tradition of Mewar. The festival begins with the Ashwa Poojan ceremony. This is an auspicious ritual where the royal Ashwas (horses) are worshipped. Shriji Arvind Singh Mewar of Udaipur, the 76th custodian of the house of Mewar, presides over the Ashwa Poojan ceremony every year. Followed by the Ashwa Poojan ceremony is the inauguration of the festival. There is an International conference with plenary sessions held by various speakers on tangible and the intangible living heritage. Every year, there is an addition to the panel of speakers that addresses the audience and captivates them with fascinating stories of the Maharanas of Mewar. Each day begins with soulful morning ragas. Along with these plenary sessions, there are various workshops to participate in. One can go on trails around the City Palace to witness the grandeur of the Mewar Dynasty in its full glory. Musical soirees, dance performances and plays delineating our living heritage make the evenings memorable. 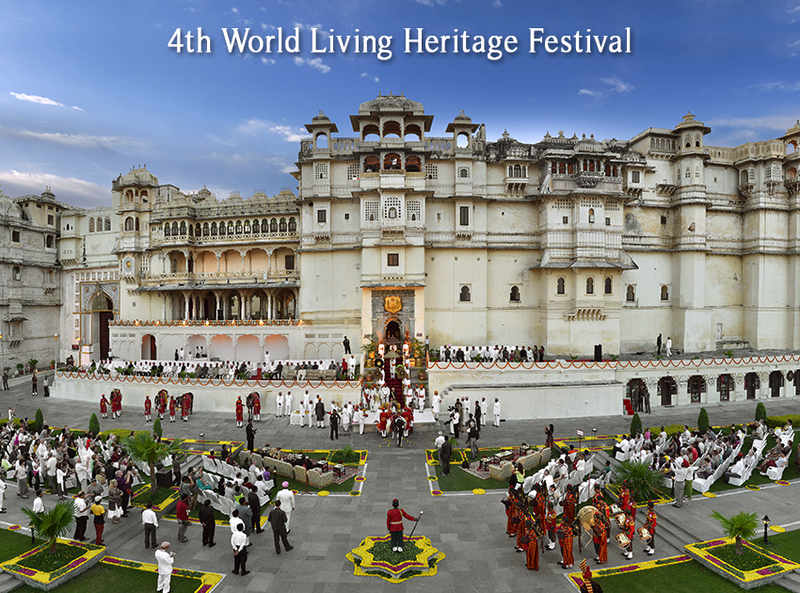 To conclude, the World Living Heritage Festival is an experience par excellence!